I like to think of myself as a film aficionado. In fact, one of my earliest memories is being in a movie theater with my father and brother standing in my seat while we watched 1991’s Body Parts. I’ve been injecting movies into my veins since then. Film is such an addiction that I’m $20,000 in debt for the rest of my life because I studied it in school. Nevertheless, despite the number of obscure indie films and outdated classics I’ve seen, there are still a slew of major films and cult classics that have somehow escaped my grasp. People seem almost disgusted when I admit that I’ve never seen My Cousin Vinny, Jerry McGuire, or Blade Runner; that’s right, I played the PC game religiously but have never actually seen Blade Runner in its entirety. Even classic fantasy films that are staples in my generation’s childhood, like Legend, The Dark Crystal, and Labyrinth slipped away through the cracks. That is until I remembered that Netflix is a personal gift from the cinematic gods and hosts a ridiculous amount of missed gems that I can seek out. I’m currently on a quest to watch all of the films I feel I’ve been deprived of, starting with one I’ve heard of for years but never knew anything about. Directed by the talented puppet master himself Jim Henson, Labyrinth shows just what a visionary genius Henson actually was. 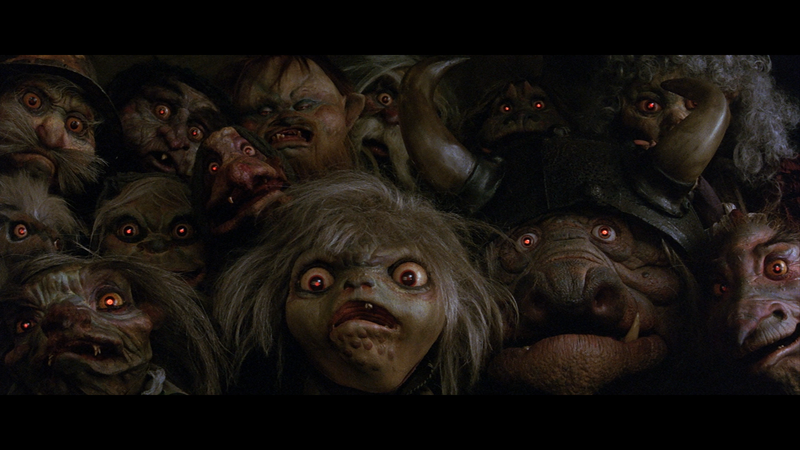 Made in 1986, Labyrinth stands the test of time as an amazingly beautiful piece of art. Many of my friends warned me in advance of its datedness, however, I was more shocked and awed at just how revolutionary the special effects in Labyrinth was and still is. Henson and his crew didn’t have the luxury of using heavy computer generated images so instead they relied on painstaking puppetry and craft work, elaborate set designing and good old fashioned camera trickery. 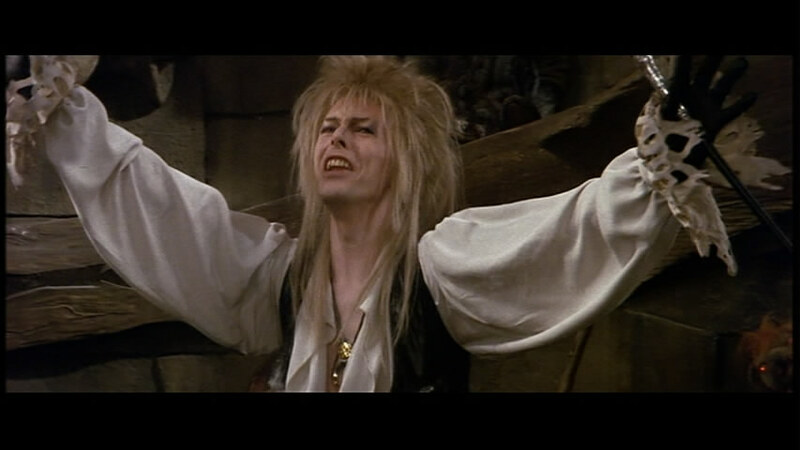 In one scene Jareth threatens Sarah by throwing a snake at her face. The real life snake in his hands hits her throat coiling around but instantly becomes a scarf that she throws to the ground. The minute the scarf hits the ground a goblin of Jareth’s appears from underneath and laughs at her. The scene cuts to show her scared reaction just as a number of goblins appear behind her in the nooks and crannies of her room laughing at her but quickly returning to their hiding spots when she turns around. The scene is creepy, funny, and pretty damn cool. When I wasn’t oohing and awing at how impressive the camera trickery and puppeteering is, my mind was further being blown by the set design. Places like the labyrinth, rooms within buildings and even forests are complex and intricate. At one point in the film Sarah is confronted by Jareth in a staircase room inspired by MC Escher’s “Relativity.” I’m still not quite sure if the entire room was really built with the myriad staircases or if only some were constructed and a painted background helped create the effect, either way the use of wires or maybe just that crafty camera trickery is used to allow the actors to walk up a flight of stairs that has no base or origin nor rule of gravity. As character walk up one way, they end up another further blowing my effing mind as to how intense the editing and physical manifestation of the scene must have been. At the time of its release Labyrinth tanked. With a budget of $25 million it only made $13 million apparently destroying Henson’s ego and will to direct another film. 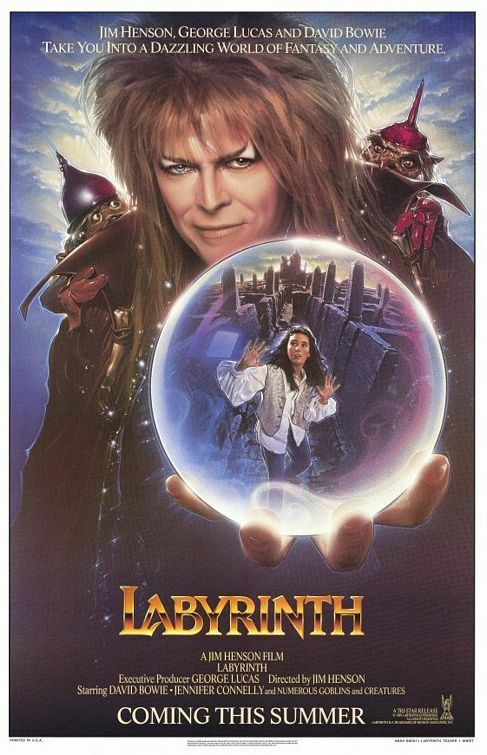 Critic Gene Siskel said at the time Labyrinth was a “pathetic story” and had a “visually ugly style.” How these words could be used to describe Labyrinth baffles me. It’s perhaps the most ingenious and creative film I’ve ever seen. Visually it’s just astounding and the characters and the artistic design of it all are concepts and images that I’ve never seen before and have yet to see. My own dreams aren’t even that imaginative! There’s also a smart and witty humor within Labyrinth that kept me laughing out loud. A character tells Sarah at the start of her journey not to go “that way, never go that way.” She thanks him going in the opposite direction to which the character slyly mentions that if she were to go “that way” it would have led her straight to the King’s castle. Labyrinth is a story in which Jim Henson, Terry Jones, and a writer for “Fraggle Rock” all had their hands in and if you appreciate any of those aspects than Labyrinth is sure to impress even if you haven’t seen it since childhood. SEE IT. And relive the magic of childhood and all that corny stuff all over again.